I shared a lot from the 2018 Annual Survey. So to make your life easier, here's a themed list of releases. Love all of this research? 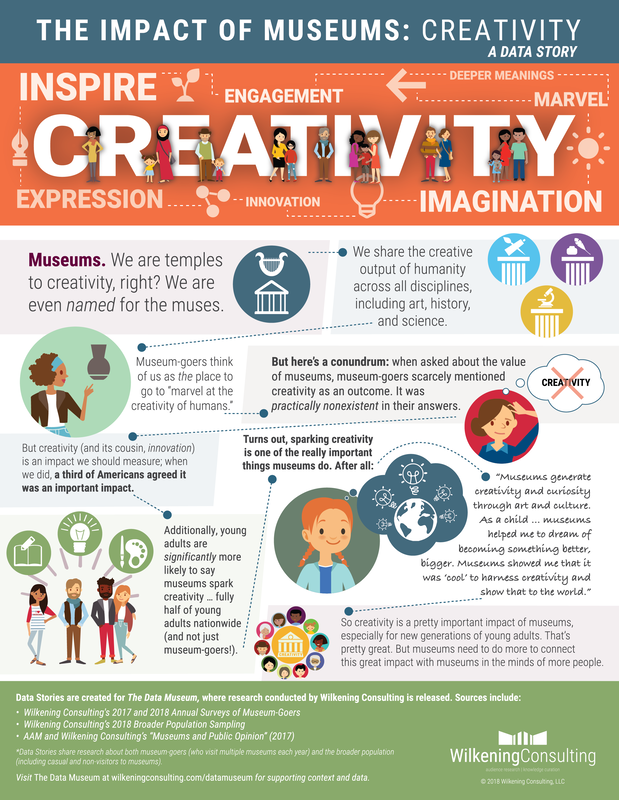 Then join the 2019 Annual Survey of Museum-Goers! 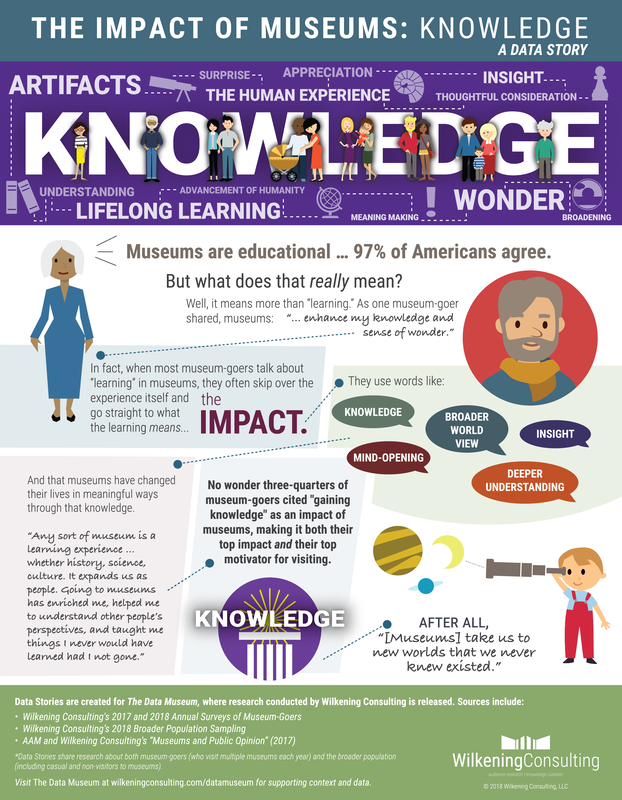 Consider how useful it would be to know how your museum's stakeholders feel about your museum, lifelong learning in museums, and more. 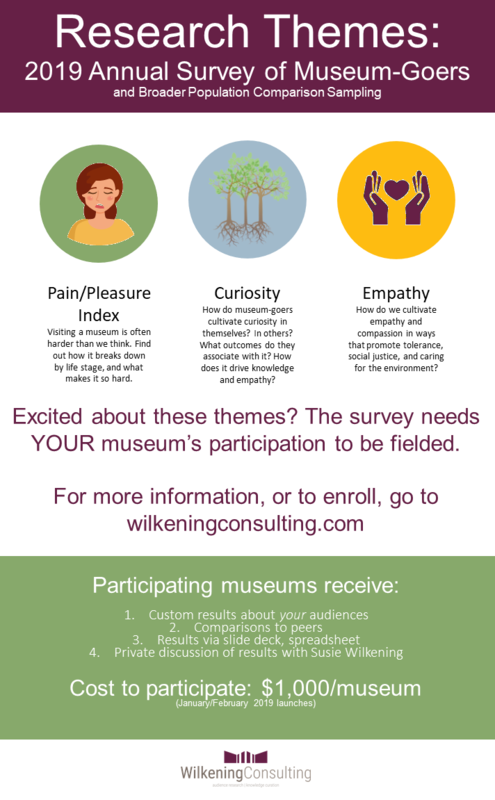 By enrolling your museum in the 2019 Annual Survey of Museum Goers, you can easily benchmark the visitation rates, motivations, attitudes and preferences, and demographics of your stakeholders. 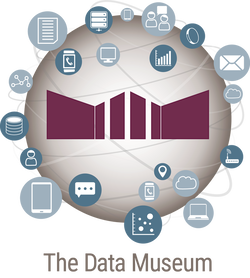 Additionally, you can compare your results to your peers, begin to track them over time, and gain far more contextual information through your custom results and report. The fee for 2019 is only $1,000 per museum. 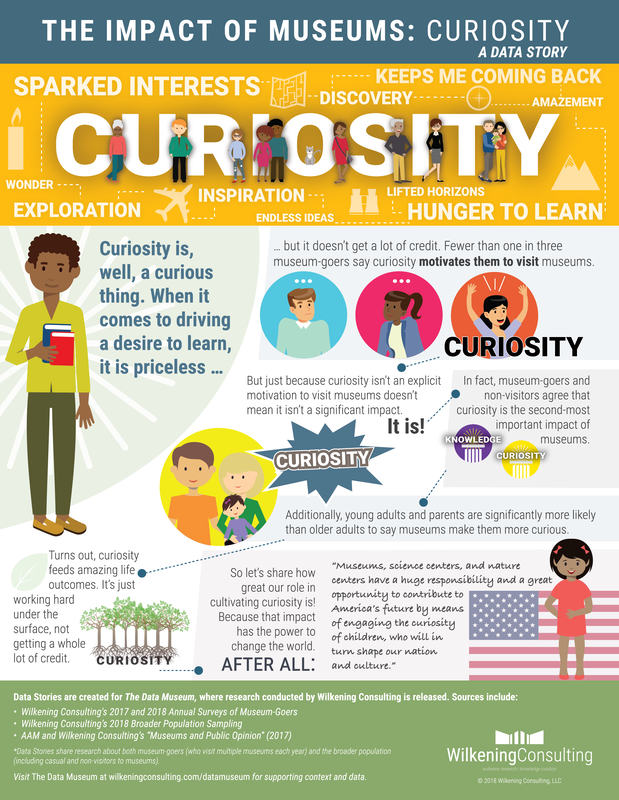 Research Themes for the 2019 Annual Survey - Enroll Your Museum to Benefit! 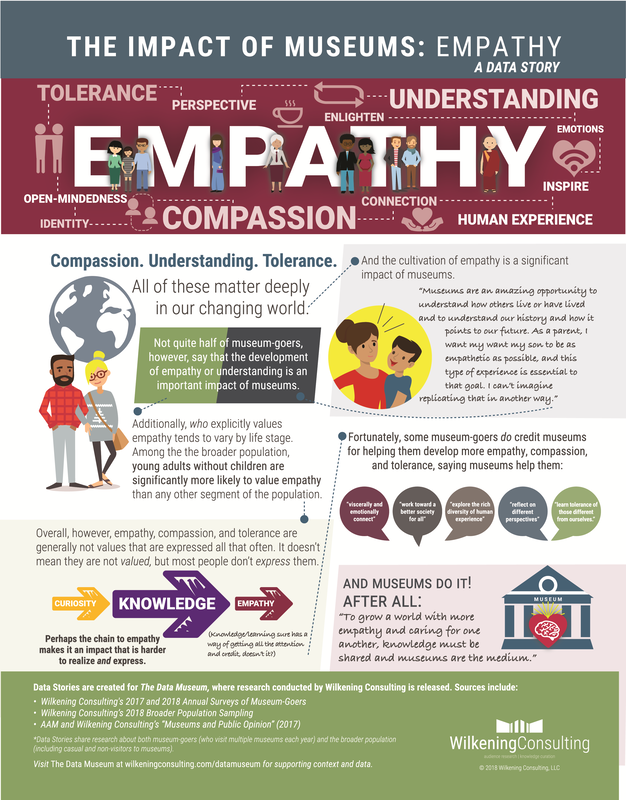 ​Click on the image for a downloadable (and printable) PDF.